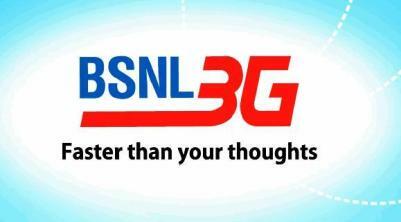 Bharat Sanchar Nigam Limited (BSNL) has introduced a new service for its users in Kerala telecom circle, wherein now users will be able to activate any 3G data pack of their choice by just sending in an SMS from their Mobile Number. All 3G Data Vouchers of denominations between Rs. 10 to Rs. 3000 can be opted in by BSNL 3G users by just sending an SMS. Until now these vouchers were only available through C Top-Up but now customers can activate them directly from their mobile phones. All the user has to do is follow a particular format which is, DATA<Keyword> and send it to 53733. If any user wishes to activate Rs. 10 3G pack, then they will have to send a SMS in the format DATA10 to 53733. And if a user wishes to activate the 1501 3G pack, he’ll have to send a SMS in the format DATA1501 to 53733.